Hop on over to Sugar Bee Crafts! 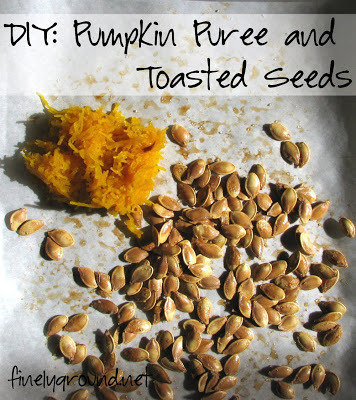 I'm very pleased to be guest posting there today with a tutorial on how to bake a pumpkin for puree and toast the seeds. . .
Hi, Just saw this over at sugar bee's. I love toasted pumpkin seeds. I have never made them myself. Thanks for sharing.